AUSTIN, Texas â€” You wonâ€™t need a fishing license this winter to try your luck at hooking one of the thousands of rainbow trout being stocked in lakes and rivers at more than a dozen Texas state parks. 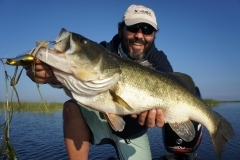 The Family Fishing Celebration, a special promotion to encourage families to enjoy fishing in Texas state parks, waives the fishing license and stamp requirements for adults at about 70 state parks. And winter trout season is an opportune time to take advantage of this special promotion. 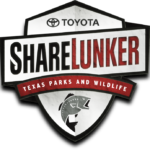 Fifteen Texas state parks will benefit from the Texas Parks and Wildlife Departmentâ€™s trout stocking taking place December through February. Four parks, (Fort Boggy, Fort Richardson, Fort Parker, and Lake Tawakoni), are conducting special trout fishing events as part of the Family Fishing Celebration. 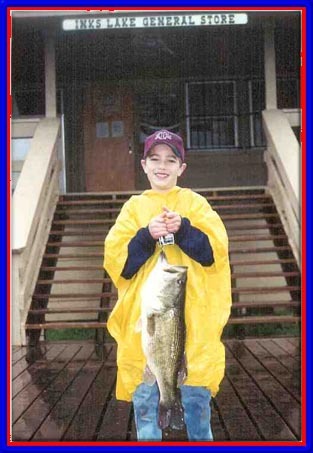 On Dec. 11, Fort Richardson State Park in Jacksboro will hold its annual Kids Fishing Day. From 10 a.m. to noon, children 12 and younger can fish for trout at Quarry Lake, which will be stocked with 1,000 of the 8-12 inch fish. 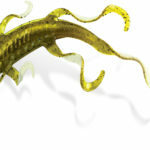 Prizes will be awarded for the first and largest fish caught. The agencyâ€™s Inland Fisheries Division will furnish a limited number of rods and reels. An additional 1,000 rainbows will be stocked at Fort Richardson in preparation for Family Fishing Day on Jan. 15. 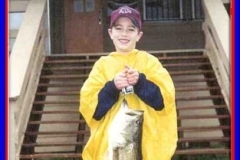 Anglers of all ages will be able to participate at the Saturday event held at Quarry Lake. 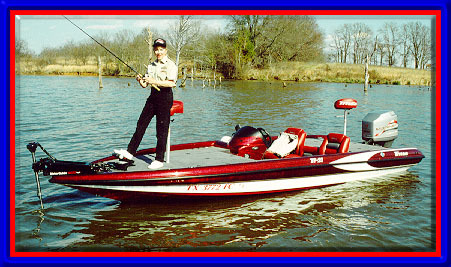 Call the park at (940) 567-3506 for more information about the fishing events. Fort Boggy State Park near Centerville will host Trout Fishing Day from 8 a.m. to noon on Jan. 22. The free fishing event is open to children ages 4-16 and they must be accompanied by an adult. The fee for adults is $2. For additional information, call the park at (903) 344-1116. Pair-a-Trees Pond at Lake Tawakoni State Park just east of Dallas will be stocked with 500 trout in advance of a Junior Angler Education program and Kids Fishing Day to be held from 10 a.m. to 2 p.m., Feb. 19. Participants in the TPWD-sponsored education program will have the first shot at fishing the park pond. The pond will be open to anglers of all ages the following day. Hot dogs and hamburgers will be provided by Wills Point Kiwanis Club. Call (903) 560-1795 for details. 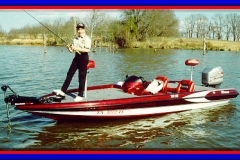 At Fort Parker State Park, the Mexia Bass Club will be sponsoring a trout fishing clinic providing children with an opportunity to come out and fish Lake Springfield, which will be stocked with 1,200 rainbows. The clinic will be held Jan. 29 and 30. For more information, call (254) 562-5751. The following state parks will offer trout fishing (starting dates noted) this winter: * Abilene State Park (Jan. 11) * Blanco State Park (Dec. 9, Jan. 5, Jan. 20, Feb. 17) * Bob Sandlin State Park (Dec. 27, Jan. 30) * Buescher State Park (Dec. 16) * Copper Breaks State Park (Feb. 8) * Fort Boggy State Park (Jan. 30) * Fort Parker State Park (Jan. 22) * Fort Richardson State Park (Dec. 11, Jan. 15) * Landmark Inn State Historic Site (Jan. 16) * Meridian State Park (Jan. 9) * Lake Tawakoni State Park (Feb. 19) * Palmetto State Park (Jan. 30) * Rusk State Park (Dec. 16) * South Llano River State Park (Dec. 18, Feb. 3) * Tyler State Park (Dec. 3, Jan. 7) TPWD launched the Family Fishing Celebration on Labor Day Weekend in 2003 and decided its success warranted its continuation for at least an additional year. The promotion has been extended through Aug. 31, 2005. Academy Sports & Outdoors also has come on board as the exclusive sponsor for fiscal year 2005. TPWD has the authority to grant the license waivers for such events under Texas Parks and Wildlife Code. The waiver will save Texas residents fishing in state parks the $28 cost of a freshwater fishing license package and non-residents $55. Park admission fees, as well as fish catch and size limits, still apply during the yearlong event. 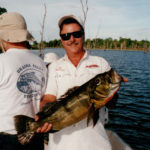 Any fish requiring a tag, such as oversize red drum and tarpon, must still be tagged. As of Sept. 1, a special rainbow trout stamp is no longer required in Texas. 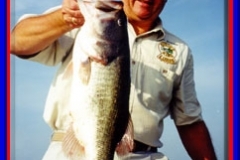 During the Family Fishing Celebration, license-free angling will be restricted to bank and pier fishing, and to fishing in bodies of water totally contained within the boundaries of a state park, such as Lake Raven in Huntsville, according to Bryan Frazier, FFC coordinator for Texas State Parks. If anglers launch boats from state park property to access an adjacent lake or other water body, he said, they will still need a fishing license and requisite stamps because the waiver will not apply outside state park boundaries. Frazier said that the Family Fishing Celebrationâ€™s no-license policy also applies to piers operated by the state, such as Copano Bay Fishing Pier, and to wade-fishing where applicable within the boundaries of a state park. The license waiver does not apply to the stateâ€™s 50 Wildlife Management Areas. 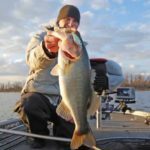 To enhance the fishing experience, many state parks have lighted piers, fish-cleaning stations, boat ramps, lakeside campsites and other facilities. If you donâ€™t have a boat, some parks will rent you watercrafts, such as kayaks and canoes. 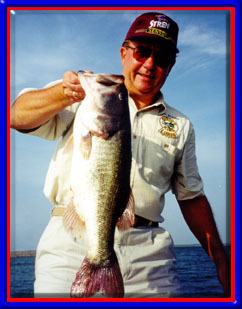 A complete list of state parks offering fishing opportunities and dates of upcoming special fishing events and seminars is available on the TPWD Web site (http://www.tpwd.state.tx.us/familyfish/), or by calling (800) 792-1112.